Shwe Taung Engineering and Construction is building the future of Myanmar, providing sustainable engineering and construction solutions for smarter growth.We are continually improving standards of living and connecting people by creating international quality housing, commercial developments, transportation infrastructure and energy solutions. We are one of the largest construction companies in Myanmar with extensive experience and ability to deliver cutting edge sustainable solutions. Since 1991, we have delivered more than 200 public and private sector projects across a wide spectrum of sectors including residential, commercial, retail, industrial and infrastructure, improving the quality of life for the Myanmar people. Sustainability is a key part of our strategy. We constantly look for environmentally sustainable solutions. Development of human capital is a priority and we have comprehensive training programmes for our employees. We promote high standards of workplace health and safety. We have a zero tolerance policy on corruption and expect the same from our subcontractors. 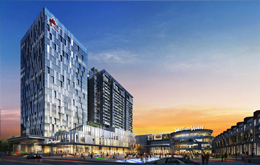 We deliver landmark projects that help build the new Myanmar. 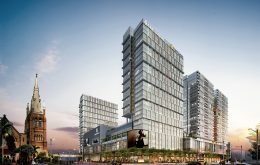 With luxuriously designed apartments, personalised concierge services, comprehensive amenities and unparalleled convenience with Junction Square at its doorstep, Crystal Residences is the epitome of luxury living in Yangon. 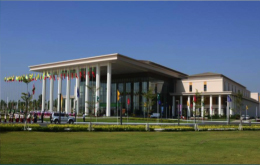 This 60,000 sqm building in Nay Pyi Taw is the venue for the ASEAN Summit in 2014. We are Myanmar’s leading infrastructure company. We provide infrastructure and energy solutions that enable growth in Myanmar. Our expertise is in energy, roads and bridges, geotechnical engineering, and pre-cast facilities. One of the first major players in Myanmar’s energy sector, we were the sole supplier of roller-compacted concrete (RCC) for the Yeywa Hydropower Project, the third largest RCC dam in the world with installed capacity of 790 MW. 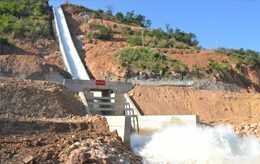 Our portfolio of hydropower projects includes Upper Paunglaung near Naypidaw, Thahtay and Ann in Rakhine State, Upper Yeywa in Southern Shan State, and Baluchaung No. 3. We have extensive experience in the construction of highways, roads, bridges and flyovers all over Myanmar. We constructed the Yangon-Mandalay highway, the Sagaing-Monywa Highway and the Ohtaw-Shwe Bo Highway, providing intra-city connectivity. In the bridges sector, we build the Upper Yeywa Bridge and the Shwe Li (3) Bridge. Within Yangon, we constructed the Hledan Flyover and the Tamwe Flyover, enhancing connectivity for residents and visitors alike in the capital. We have state-of-the-art geotechnical engineering capabilities that includes tunnel construction, press piling, bore piling, retaining wall construction work and mining work. We provided geotechnical engineering work for the Shwegyin Hydropower Project, construction of the tunnel in Kun Hydropower project, and carried out bore piling for four of the five construction projects along the Ayeyarwaddy Bridge – Sinkhan, Pakokku, Yadanar Theinga and Nyaung Done. In a joint venture with Tiong Seng Holdings, we operate a precast plant that supplies precast components to construction projects in Myanmar. We have a track record of successful collaboration with international agencies on infrastructure development. We won the tender called by Japan International Cooperation Agency (JICA) and constructed three roads under the poverty reduction scheme for regional development, funded by Japan’s Overseas Development Assistance. In an international competitive bidding process, we won the tender for the Mau Bin – Kyait Lat – Pya Pon road project funded by the Asian Development Bank and are currently constructing the road. We provided the roller-compacted concrete (RCC) and conventional vibrated concrete (CVC) for the Yeywa Hydropower project, which is the third largest RCC dam in the world. 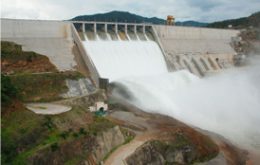 Located 25km east of Loikaw, the Baluchaung No.3 hydropower project is near the confluence of Baluchaung and Pawn Chaung. We were the project manager and EPC contractor. 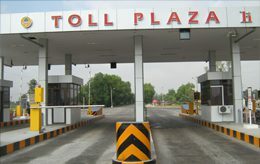 We constructed the Yangon-Mandalay Highway toll road project which stretches 71.59 miles. This well-used highway improved inter-city connectivity. We completed construction of the Hledan flyover in Yangon in 2013. 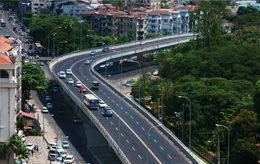 The four-lane flyover relieved one of the key bottleneck junctions in Yangon.